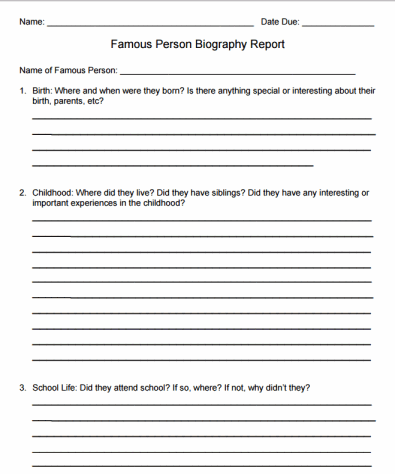 Have your class fill out this 3 page form that outlines information about a famous person of their choosing. Birth, death, and other important events will be recorded in their biography report. 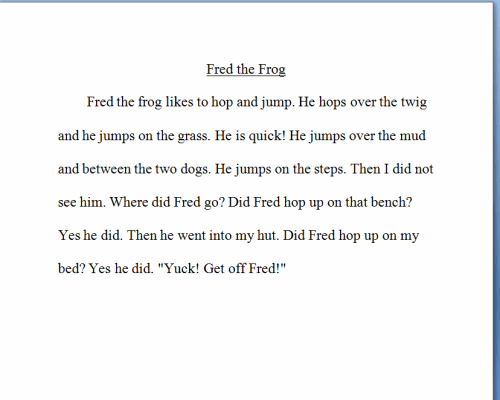 This is a compilation of 6 short stories for reading practice with your class. All stories are one page only and can easily be separated. Stories include: Jake the Whale, Fred the Frog, Mack and Bugs, Cod Fish, King Sam, Pam and Dan. 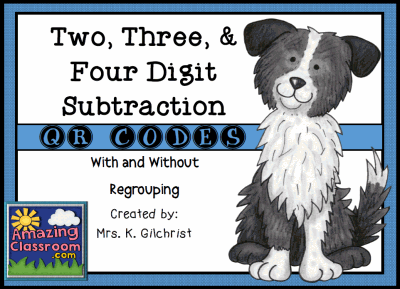 Your students will have a great time completing these two, three, and four digit subtraction problems with and without regrouping. Have your students use a device to scan the cards 1-16 to find a subtraction problem. Your students will write down the subtraction problem, solve it, record it on the recording sheet, and then can check their answer for instant feedback and reflection. Enjoy! 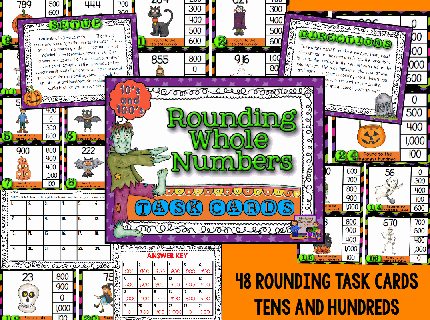 Your students will have fun reviewing properties of addition and multiplication with this fun, whole class, review game. This game covers the following properties: commutative, associative, and distributive. This game includes a title page, setup and game instructions, twenty game cards, a recording sheet, and an answer key. Enjoy! 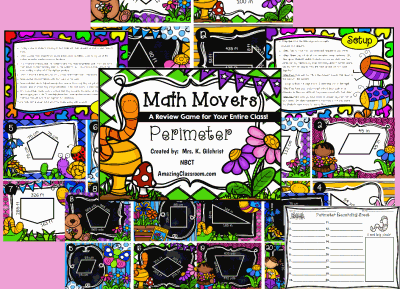 Your students will love reviewing all about perimeter with this Math Movers Perimeter Review game. Place 20 perimeter question task cards around the room, face up. Your students use their recording sheets and all students walk around to find the answers to all perimeter questions on each card. Each student is answering twenty questions about perimeter. They will be sure to love this game and review much needed math concepts. Enjoy! 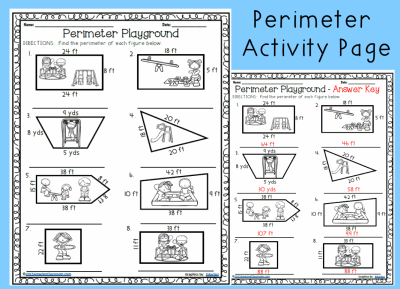 Your students will review perimeter with this fun, perimeter playground, activity page. There are a total of 8 problems for the students to solve. Some figures only have measurements on some of the sides, so the students have to find the missing dimensions. An answer key is included for easy grading. Enjoy! 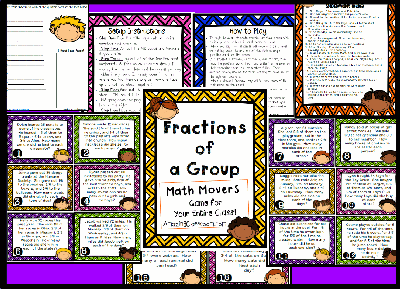 Do your students have trouble finding fractions of a group? This Math Movers review game for your entire class will help. 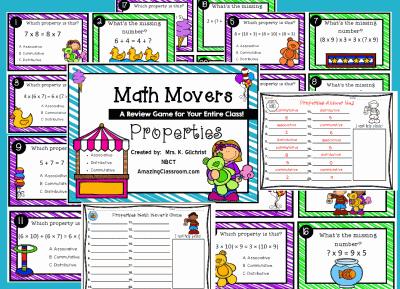 This math movers game is for all of your students to play. Place the 18 word problem cards around the room. Students use the recording sheet and move around to solve all of the fractions of a group. When they get stuck, they can place the number in the "I need Help" section. An answer key is included! Enjoy! 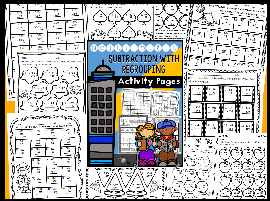 Your students will have tons of practice with subtracting multi-digit numbers with regrouping. This packet is full of activity pages that require NO PREP from you, just print them and you are ready to go! Use these activity pages as guided practice, formative or summative assessment, or even as homework. 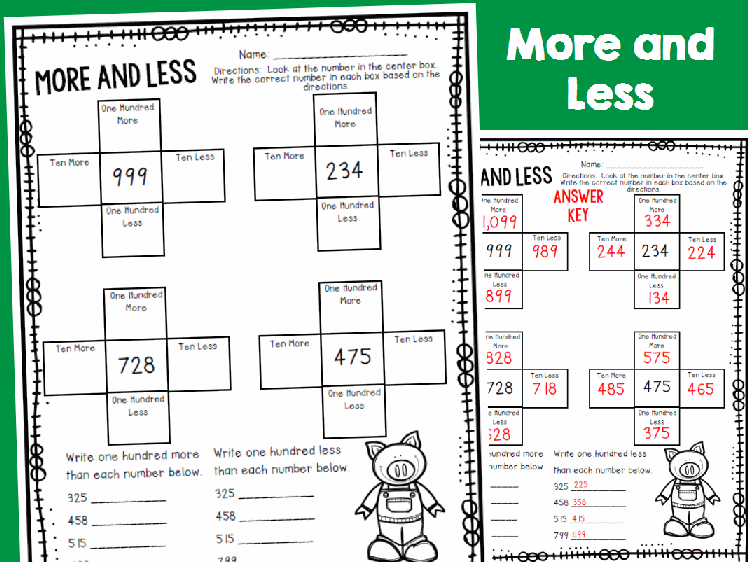 Your students will practice writing one hundred more, one hundred less, ten more, and ten less, with this activity page. The students will read the number in the center square and follow the directions on each attached box. There are some extra problems at the bottom of the activity page for even more practice. An answer key is provided for easy grading. Enjoy!